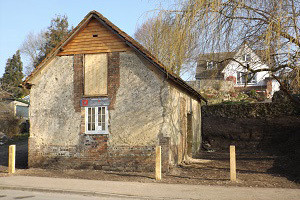 The former chapel in the heart of Tolpuddle is internationally significant. It was built in 1818 as a Methodist Chapel and is listed Grade II* by Historic England. It is on their Buildings at Risk Register. It is the place where some of the six Dorsetshire labourers, that later became known as the Tolpuddle Martyrs, preached and worshipped. Martin Cooke, has as a volunteer, assisted the Trust in developing the project to include establishing the Trust, purchasing the site and securing support from a wide range of organisations including Historic England, Architectural Heritage Fund, Heritage Lottery Fund (HLF), Dorset County Council and West Dorset District Council. H&L were appointed by TOCT as project coordinator and assisted with business planning, consultation, options appraisal and fundraising development work. In September 2016 with the critical and expert support of H&L TOCT secured a round 1 pass from HLF with a development grant of £63,700 and an in-principle delivery stage grant of £329,300.